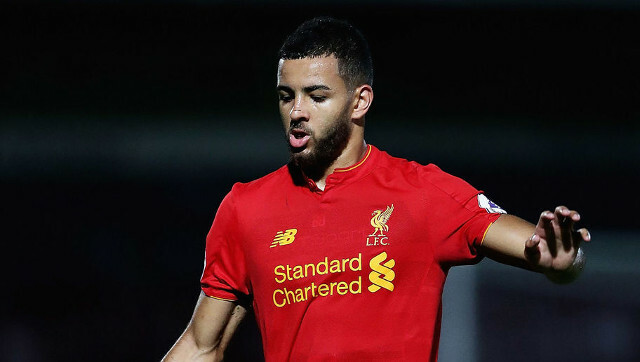 Kevin Stewart has gone someway towards diminishing suggestions that he is destined for an Anfield exit by reaffirming his desire to play a part for Liverpool next season. The midfielder has, as of yet, failed to emerge as a first team regular and made only nine appearances last season. That said, he is approaching the summer with the matching self-belief and ambition that has, for so long now, seen him fight to prove himself as a useful option for his manager. “Trying to break through, trying to stay fit and trying to be ready for when I’m called upon [is my aim],” he told Liverpoolfc.com. Stewart’s undying determination to make a name for himself at Liverpool is something to be admired, especially given the current fierce competition for a midfield place- likely to be increased by potential new signings. Notable loan and permanent offers from elsewhere are unlikely to disappear in the space of a season which is why there is perhaps nothing wrong with the 23-year-old continuing to fight for a place. The experience he has gained and will continue to gain at Liverpool will set him in good stead regardless of what the future holds for him.